 ﻿ Welcome to Mianxiong Dong's Website ! Please contact me if you are interested in Visiting/Studying at Muroran-IT. Research Assistantship is available for Ph.D. student as well as Visiting Scholar. Also we are recruiting Postdoc Fellow. Here is more information about admissions (pdf). Furthermore, our university provides an exchange study scholarship opportunity for students from the universities signed International Agreement on Academic Exchange*. *For more information about International Agreement on Academic Exchange, please refer here. I am selected as "NISTEP Selection (The Researchers with Nice Step)" due to his significant contributes to science and technology (PDF). I am serving as the External Reviewer of NSERC Discovery Grant. I have been granted with National Institute of Science and Technology Policy (NISTEP) Award 2018 (The Researchers with Nice Step). 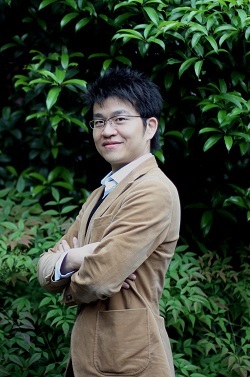 I am serving as the Technical Program Member for IJCAI 2018&2019, AAAI 2019, and ICDCS 2019 Conference. 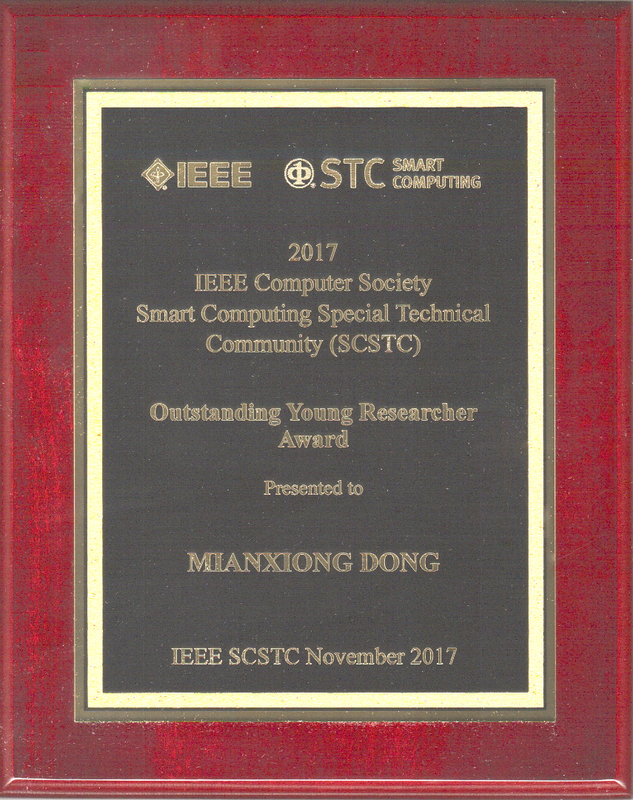 I have been granted with 2018 Best Conference Paper Award from IEEE Communications Society Comunications Systems Integration & Modeling (CSIM) Technical Committee. 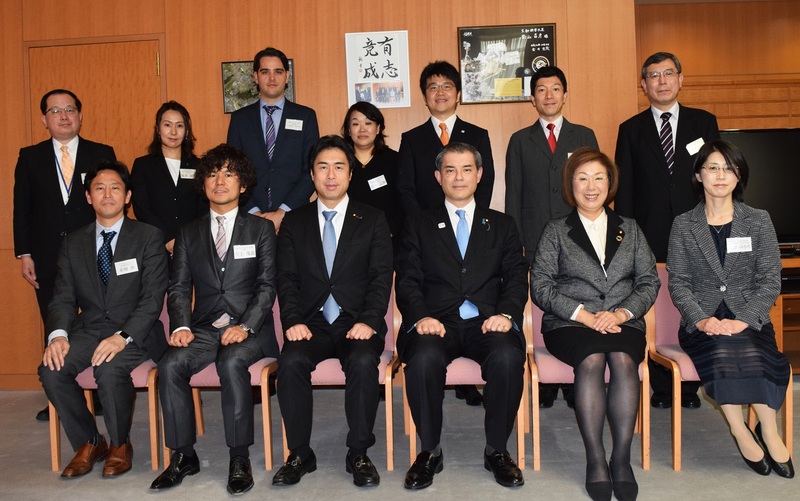 I have been granted with Funai Research Award 2018. 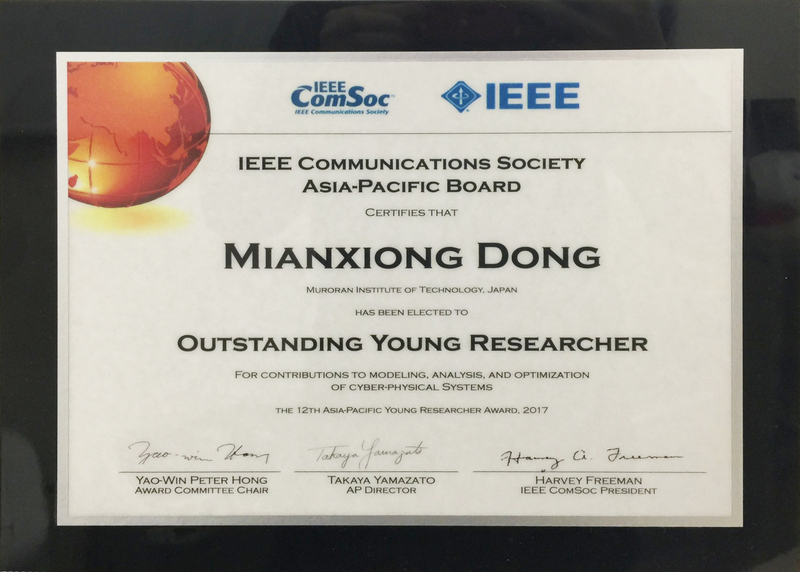 I have been granted with IEEE Communications Society Asia-Pacific Board Outstanding Young Researcher Award. 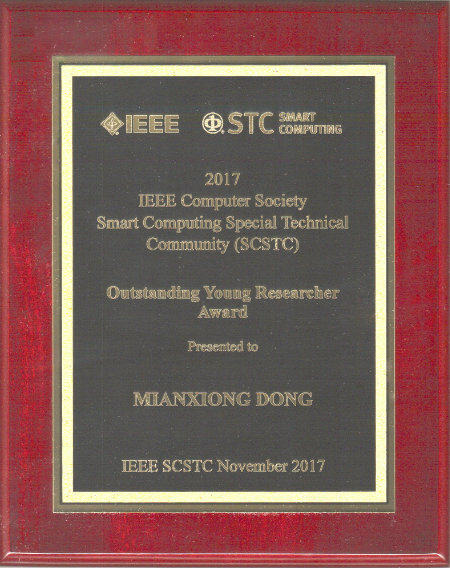 I have been granted with IEEE Computer Society Smart Computing Special Technical Community (SCSTC) Outstanding Young Researcher Award. 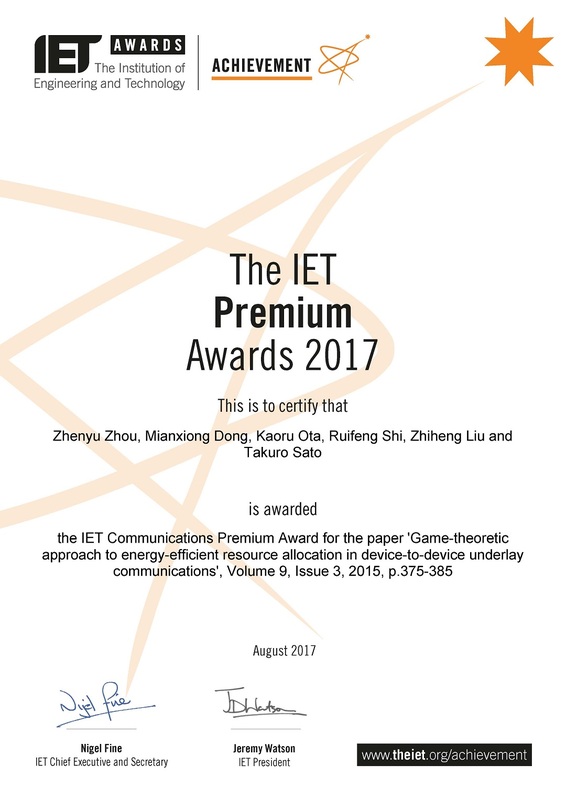 Our paper "Game-theoretic approach to energy-efficient resource allocation in device-to-device underlay communications" is selected for the 2017 IET Communications Premium Award. Our paper "Rule Caching in SDN-Enabled Mobile Access Networks" is selected for the Scanning the Literature column of IEEE Network.